Made it back to Leai to try their lunch. Their lunch service starts at 11:30. A couple of people ahead of me, went upstairs to their cafe area. They ordered, paid and then went to sit at a table. I ordered, paid and went to sit at another table. And then by 11:45 there were 10 of us waiting for lunch...and waiting. They only have the plate lunch on their menu, so I was kinda shocked that it took so long for the food to start coming out. By the time the lunches started flowing out it was almost 12:00. And then all the chatter stopped...everyone was eating. Portion-wise I'd say it was worth it. There was pumpkin soup, salad, a pasta with cabbage, peas and ham and a beef stew (pot roast) type of dish. Some bread on the side to mop up the gravy. If you chose not to have coffee or tea, the plate lunch is only 780 yen. I think if you have time for lunch, this place is worth the wait. I've written about Grand Maison Graciani before here. Sadly, this restaurant had a fire in 2012. The restaurant was in a historical building, so I am not sure they were able to rebuild after the fire. I'm not sure of the whole story, I think the kitchen may still be working, but they are no longer operating as a restaurant. 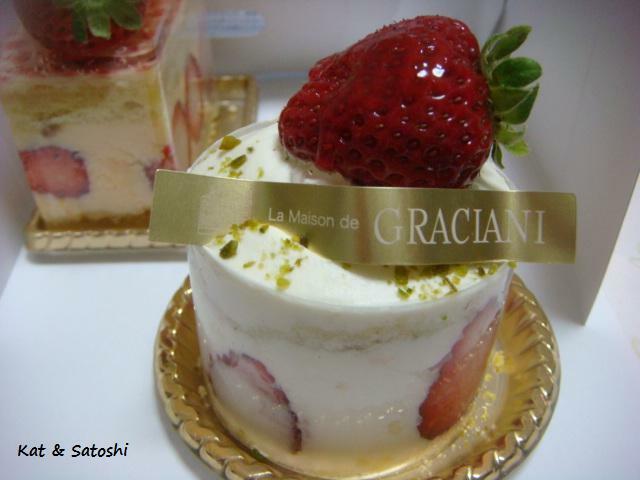 Anyway, with the recent renewal of the Hankyu Department store in Umeda, they opened a new brand called La Maison de Graciani. 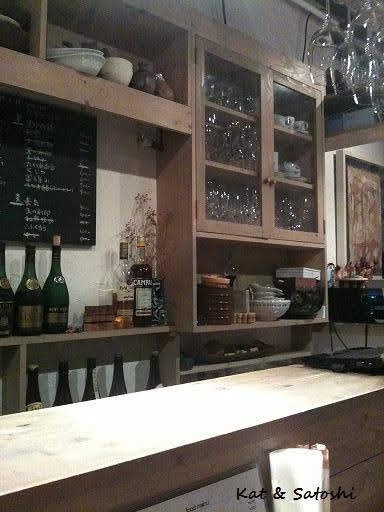 The other night, on his way home from work, Satoshi picked up a couple desserts for us to try. This cake had a sweet sour taste. I think they combined strawberry and cherry. 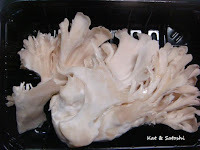 The middle was quite dense like a cheesecake but reminded me of buttercream. This dessert was really airy. There was a little cake, a lot of cream, some strawberries and pistachios...we liked this one of the two. I hope in the future the restaurant will make a comeback, but in the meantime, we'll be back for their sweets. This caught my eye at the market recently. 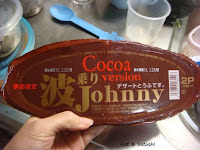 Naminori Johnny means wave riding Johnny, a brand of tofu by Sanwatousuian. Which is probably why the container looks like a surfboard. 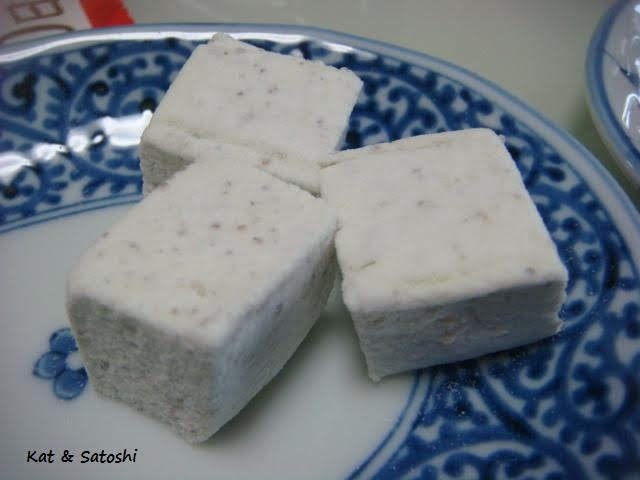 The package says it is a "dessert tofu". 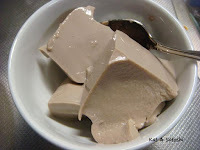 In Hawaii, we have a pie that uses tofu, gelatin and whipped cream, so I thought it would taste similar. It was more greyish than brownish. I thought it could've been more chocolatey. 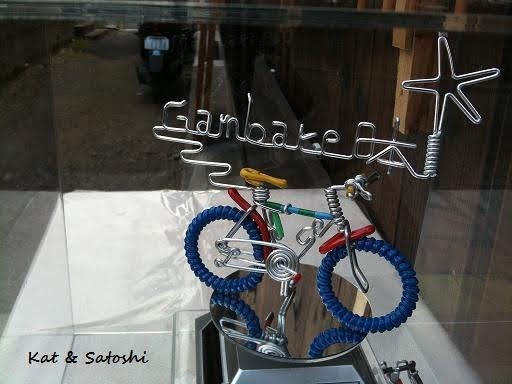 Satoshi thought it was quite sweet. By the way, they also have strawberry, cream cheese & pumpkin flavors...we agreed it was a bit too funky for us, but it was interesting to try. 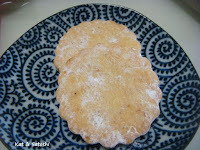 Next door to Les Petites Papillotes is a tiny sweet shop called Benchi. 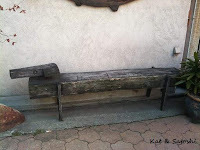 Did you know that "benchi" is the Japanese pronounciation for bench?! Somehow we missed seeing this shop before, so we picked up some sweets to try like their vanilla cookies...220 yen. These were dense, not very vanilla-y in my opinion. I think I would've preferred a crispier cookie too. Their almond financier (150 yen) and ginger madeleine (120 yen) were moist and had a nice crumb. 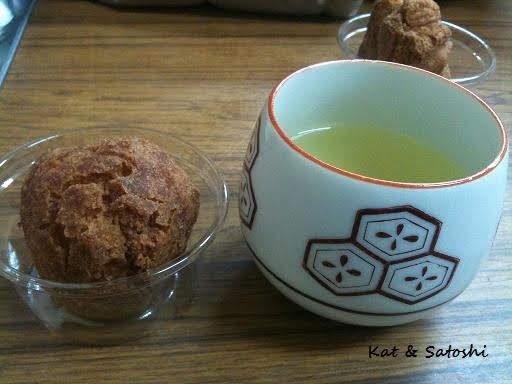 The ginger madeleine had a nice kick to it too. 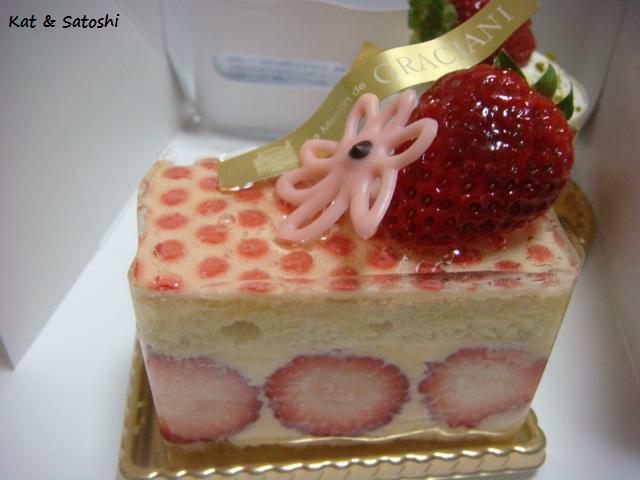 And the strawberry pâte de fruits (160 yen) was delicious too. The owner said it was quite sweet but we thought it was just right and had lots of strawberry flavor. The cakes looked delicious too...we'll be back. 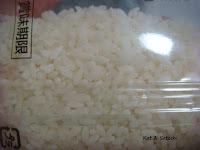 A couple of posts back, Rowena asked me if we'd ever tried "rice" made from konnyaku (devil's tongue jelly) flour. We hadn't but I had heard of a diet food called "mannan hikari", a "rice" which I had heard was made of konnyaku. 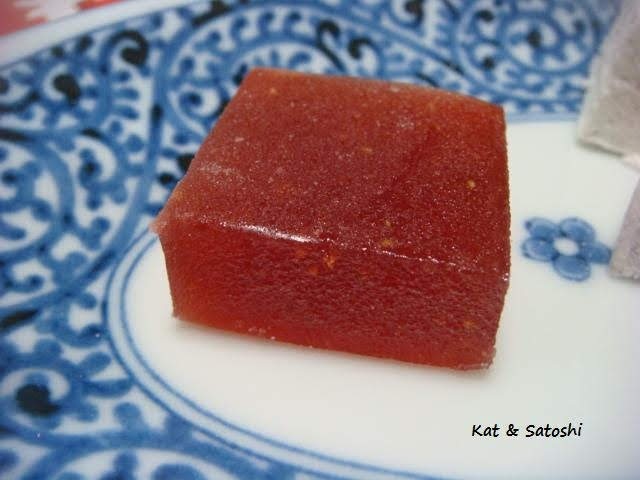 Since one of the foods Satoshi is supposed to eat more of is konnyaku (it apparently has a lot of fiber), I thought we should try this, as it may be an easy way to add more konnyaku into our diet. If I understood the Japanese correctly, the konnyaku flour has an enzyme called "mannan" in it, which helps with blood sugar too. The packets look like rice. 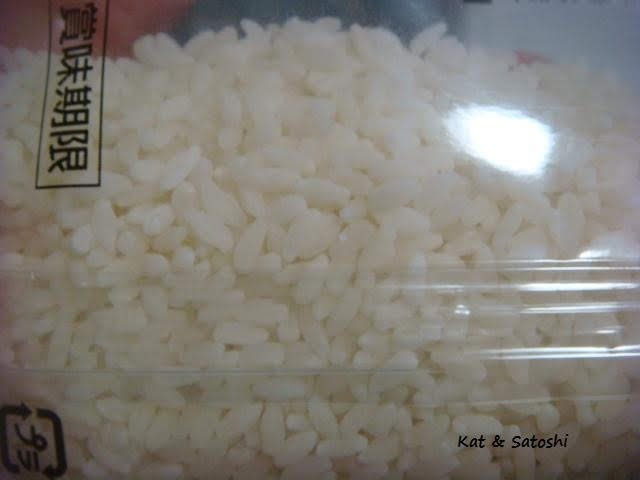 Here's how to make it according to the directions on the package: Wash a cup of "real" rice and then add 1 packet of the konnyaku rice. 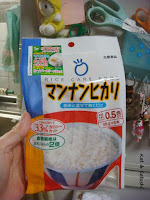 The package cautions you NOT to wash the konnyaku rice (for some reason I have a feeling it may melt if washed). As for the amount of water, you should add 1.5 cups. Cook as you normally do. If you want to be brave, the package also suggest you do 1 cup of rice and 2 of the konnyaku rice, but we haven't tried this version yet. 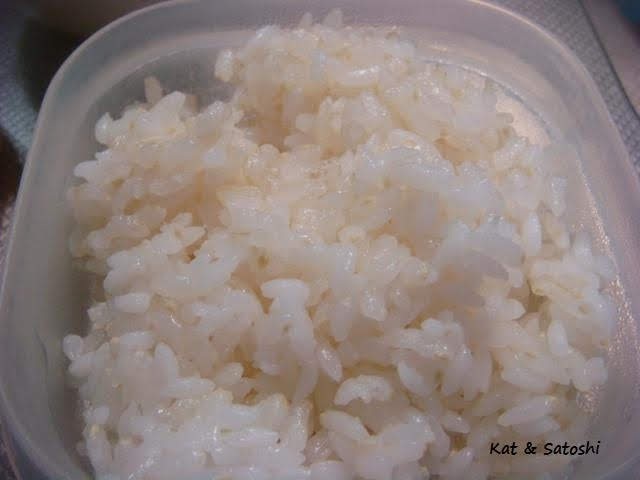 There isn't any distinct flavor, but texture-wise it is a little like instant rice, not really sticky. 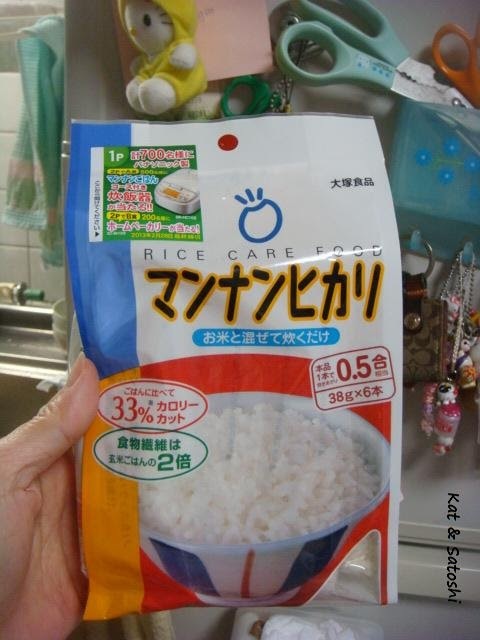 For this reason, the company website suggests that you do not cook the "rice" by itself. Dunno how this product would fare as musubi or as fried rice, though their website says that it does freeze well. Have you ever tried this or something similar? What do you think about it? 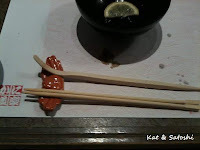 Yesterday, Satoshi had the day off, so we went to check out a place we had been wanting to try for lunch...boo! They now only do dinner service...sigh. We ended up eating at a place nearby, but it really wasn't worth talking about because they had terrible service. We went back to try Les Petites Papillotes' desserts. Satoshi went with their financier and a matcha chocolat chaud (green tea hot chocolate). 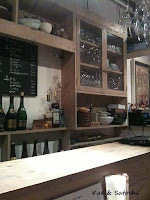 He liked the financier but the drink was way too sweet for his liking. I didn't try his drink but have a feeling they may have used milk chocolate to compensate the bitterness of matcha (green tea). 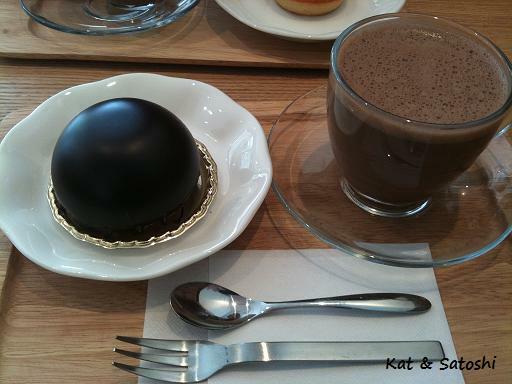 I chose their Levant and a cafe chocolat chaud (coffee hot chocolate). The Levant was rich. 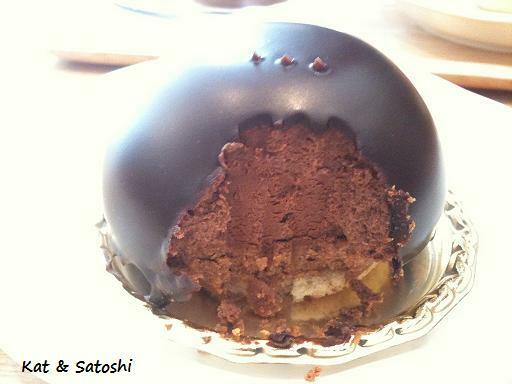 A flaky crust topped with hazelnut praline, topped with a rich chocolate mousse glazed with a dark chocolate. It was a bit messy to eat. The cafe chocolat chaud wasn't sweet, but after such a rich dessert I would have preferred having black coffee or tea instead. 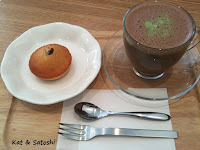 While I love chocolat chaud (hot chocolate), we were a bit disappointed that their drink menu only offered chocolate drinks. I hope they add coffee and tea to their drink menu soon. Until they do, I probably would just take out their desserts. The other day, I was on my way to Umeda for an appointment. As I was on the train, the person I was supposed to meet, left a message on my cell to cancel...boo! Oh well, things happen and appointments get cancelled. 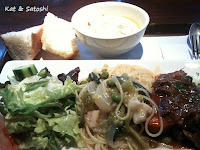 Since I was already out and on my way to Umeda, I had lunch at Hands Cafe located in the Tokyu Hands. If you've visited Japan before and visited Tokyu Hands, you'll know that they sell, pretty much everything from DIY stuff to beauty products. 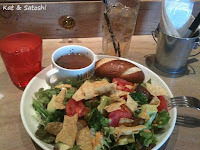 I tried their "mexican" chicken salad...880 yen. 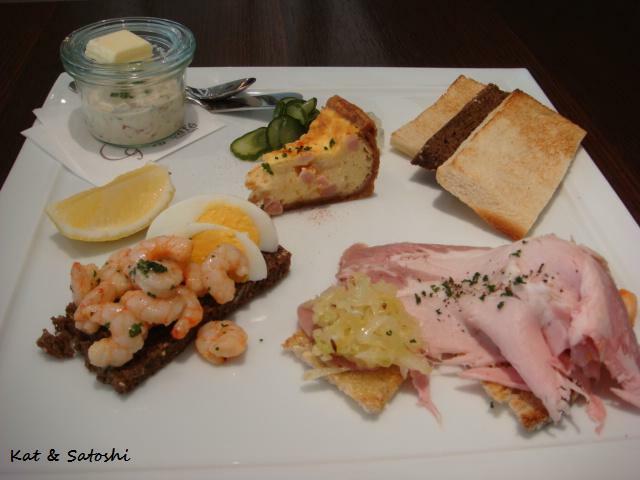 This came with consomme soup, pretzel bread and a drink of choice, which I chose ginger ale. I put mexican in quotes because what Japan considers "mexican" cuisine is usually pretty interesting...the chicken, while moist, had a lot of curry powder and cumin as seasoning, and while delicious, I would not say it was "mexican". Still, I wouldn't mind trying some of their other dishes...I'll be back. p.s. it's Friday here, hope you have a nice weekend! 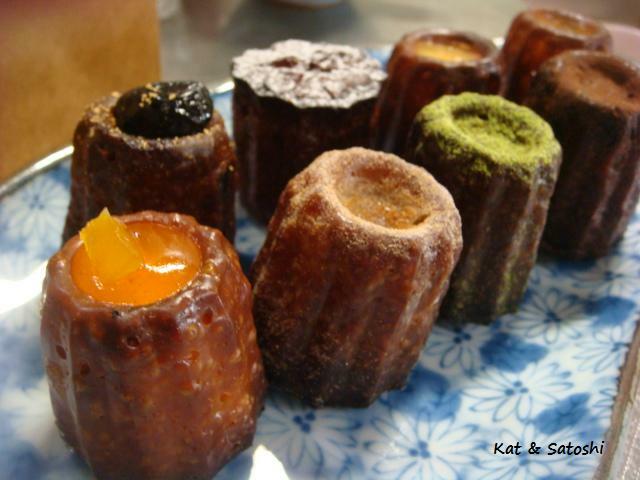 Have you ever tried canelé? It is a tiny French sweet from the Bordeaux area with a custard-y center and a dark caramelized outer crust. To tell you the truth, the first time I tried canelé was from another shop and it was bad...dry no flavor...boo! 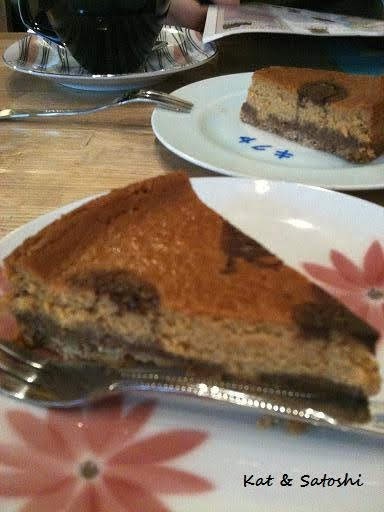 The insides were moist and the outside had a nice crust like when you break the caramel topping of a crème brûlée...delicious! They have 6 regular flavors (shiro, black sugar walnut, black bean kinako, anzu, matcha anko, hojicha). 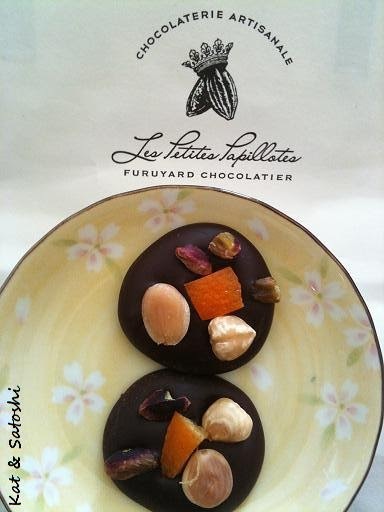 And 2 flavors that change with the seasons, which for winter was (yuzu, chocolate). Too bad I hadn't tried them earlier, autumn's flavors were kabocha (pumpkin) and kuri (chestnut). My favorites were black sugar walnut, yuzu, anzu and hojicha. Satoshi's favorites were all except the black sugar walnut and hojicha. I'm glad I gave canelé another try...We'll be back. 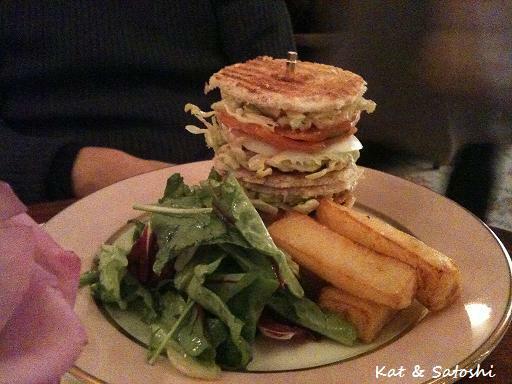 The other day, I stopped in for lunch at Cafe Ata, which I briefly wrote about before here. 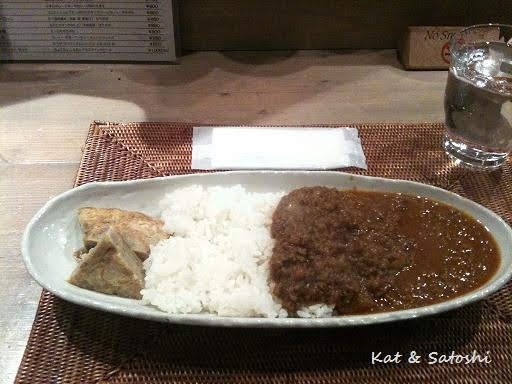 I had the keema curry...700 yen. This came with a couple of slices of potato fritatta. The curry is spicy, be prepared to cough and your nose to run. We recently checked out Kissa Stove. Kissa is the Japanese word for "tea house". 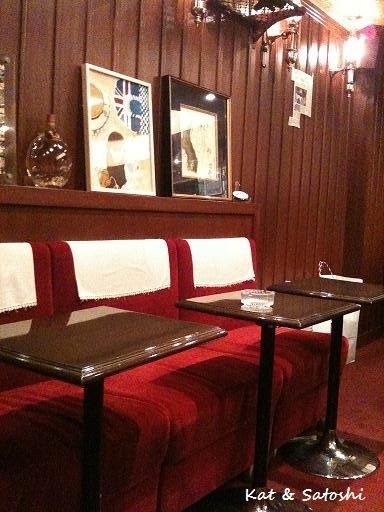 This cozy shop is about 10 minutes from the JR Fukushima station. We tried their Stove blend coffee which was a city roast and their Mamedake blend which was a French roast. Both were delicious. There was a bit of confusion when we ordered the cheesecake, the way the waitress mentioned it, it sounded like there were 2 kinds, chocolate and caramel, so we ordered one of each. When it arrived at our table, we realized that she meant caramel chocolate cheesecake...it was delicious though. And how is this cute dachshund bench in front of another shop?! We'll be back whenever we are in this area. 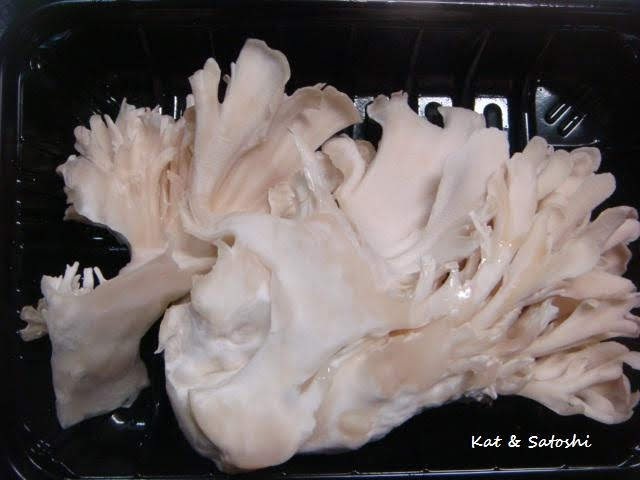 I recently came across white maitake at the market. I don't think it tastes any different from maitake and I'm glad we got to try this. Leai (loo-eye) is a tiny bakery and cafe in the Tanimachi area of Osaka. 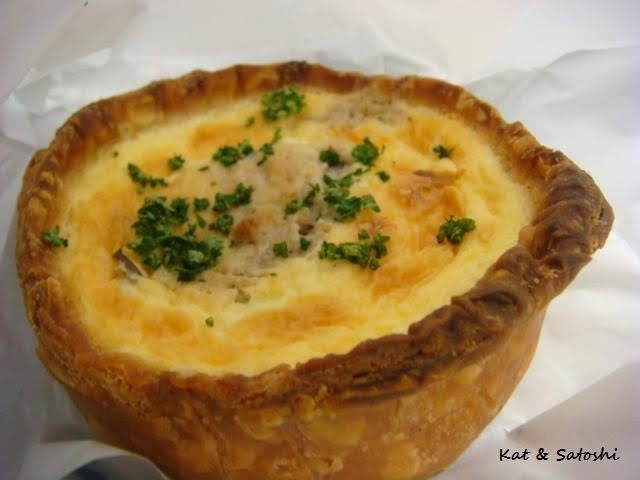 We recently tried some of their baked goods...their chicken & kinoko (mushroom) quiche was nice and flaky, and there was lots of shredded chicken and pieces of mushroom in it. 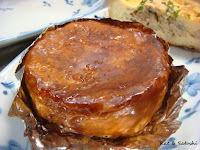 The kouign amann was buttery and had slices of apple in it too. 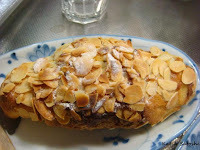 And the almond croissant was flaky with a nice ratio of almond custard in there too. I wouldn't mind trying their lunch, I'll be back. During the winter you'll hear this cute children's song outside. That's the cue that the gas truck is making its rounds in the neighborhood. Many people use the gas to heat their homes with gas stoves in the winter. Our apartment complex does not allow the use of gas stoves, but I have seen some people in our building with plastic gas tanks...ahem. Anyway, I shot this video of the truck when we went to Kyoto last Autumn. And here is a video I found online of the song with english subtitles. What do you use to heat your home during the winter? 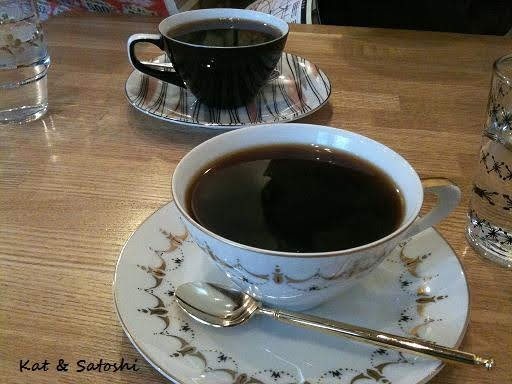 It was a 3-day weekend recently, and Monday was a holiday (National Foundation Day) which Satoshi had off, unfortunately he worked on Saturday and Sunday. Anyway, not wanting to waste the day he had off, we went to check out Taisho-ku located in the Southern part of Osaka, also known as Little Okinawa. Some of my relatives used to live here but have since moved back to Okinawa, too bad we'd never visited them while they were there. 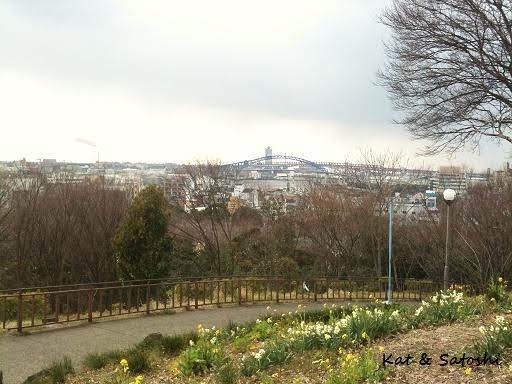 This area is surrounded by the rivers of Osaka, kinda like an "island", though there are many bridges that connect it to Osaka prefecture. Lunch was at a cute shop called Marutomi Shokudo, this place only has 4 tables, so if you go during lunch be prepared to wait or share your table with others. 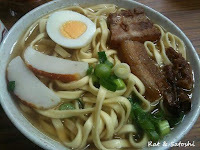 I had the Okinawa soba (top photo), this was a shoyu based soup with tender seasoned pork belly, some kamaboko and some slices of hard boiled egg. Perfect way to warm up on such a chilly day. 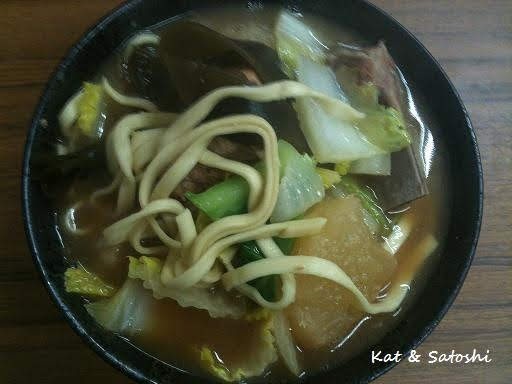 Satoshi had their soki soba, a miso based soup with pieces of tender seasoned pork ribs, daikon & cabbage. There was also a complimentary andagi as well as green tea. After lunch, we checked out the Thanks Shopping Arcade a.k.a. Hirao Main Shopping Arcade. 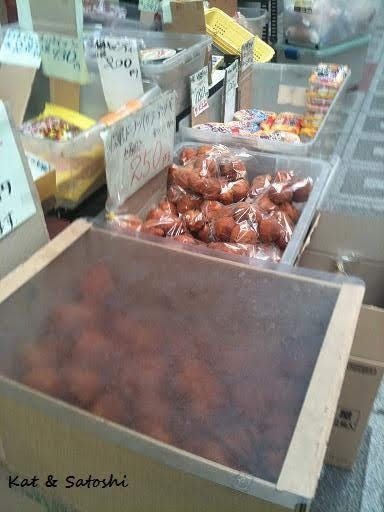 There weren't many places open because it was a holiday, but check out this stash of andagi in front of a tiny grocery store. From there we went to check out one of the 7 ferry landings in this area. The city runs these ferries and each one is free of charge. The main purpose is for people to commute from Osaka prefecture to Taisho, without having to go all the way around to where a road or bridge connects Osaka to Taisho. If you want to check out some of these ferries, here is the info in English from the Osaka city page. I also shot a short video of our ride on the Senbokumatsu ferry route. You'll see that we pass under the freeway. It was also kinda noisy because of the wind. It is a great way for bicyclists to cross over to Taisho. 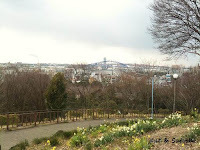 Lastly, we checked out a man-made hill called Showa-yama. It is 33 meters (108 feet) high and made from the debris and rubble after digging the Osaka subway system. Not many sights, but you really get an Okinawan vibe. I'm glad we checked out this area. p.s. 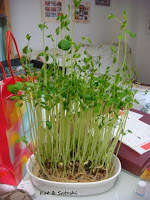 it's Friday here, I hope you have a nice weekend. Happy Valentine's Day...in Japan, it's only for the guys...which I've told you about here and here. This is the recipe I used for the truffles, though I only made half the recipe. 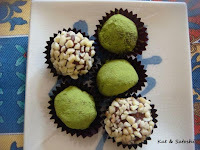 Super easy and only 2 ingredients, well 4, if you consider the matcha powder and chopped almonds. 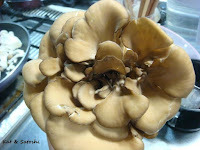 I tasted some before giving them to him and we also had some extras to enjoy too. Have a nice Valentine's Day, everyone! Saturday, Satoshi had to work, so I met up with Tamakikat for lunch. 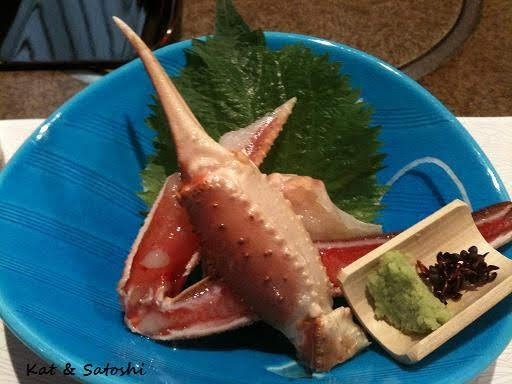 And how neat is this wooden tool to scrape and "poke" out the crab meat?! After lunch we did a bit of walking and came upon this tiny bakery. 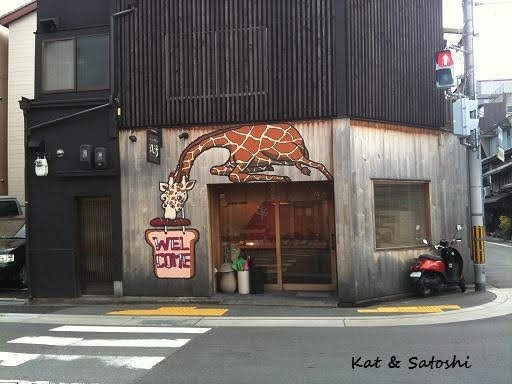 Cute with the giraffe painted on the outside, yeah?! 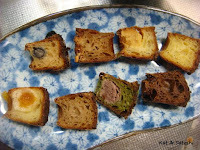 Sidenote: Satoshi and I halved their an france (an pan) & curry france for our Sunday breakfast. 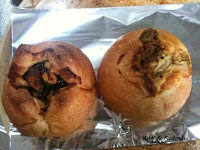 We loved the chewiness of the bread and there was a lot of filling. 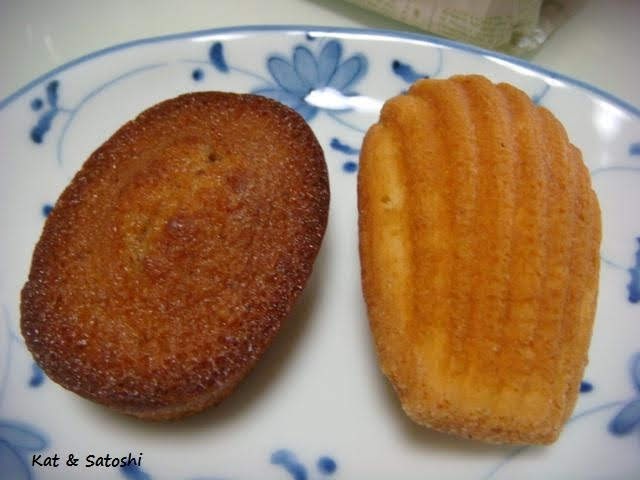 The an pan also had walnuts alongside the sweet bean paste. After picking up some baked items, we then walked up towards Kiyomizu temple and stumbled upon this taiyaki shop. They were having a special for their custard & chocolate filled taiyaki...only 100 yen! 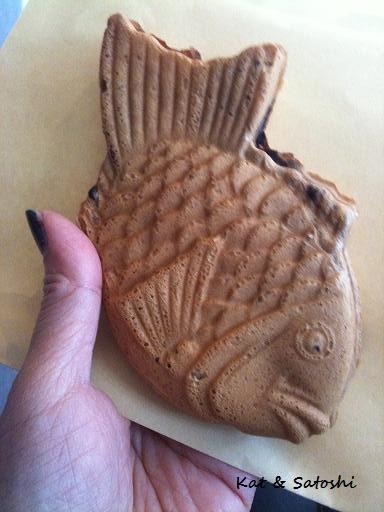 I thought this was better than some taiyaki I've eaten before, the outside was crisp, almost like a waffle cone. While walking past some shops we came upon Happy Bicycle. 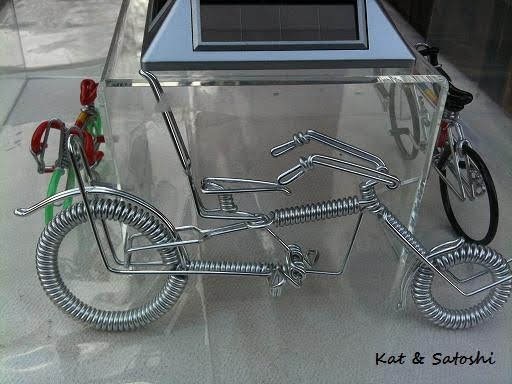 The owner, an expat of Chile, makes these wire bicycles. 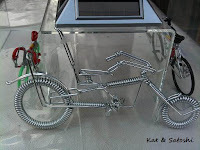 This particular model is made from 1 piece of wire! 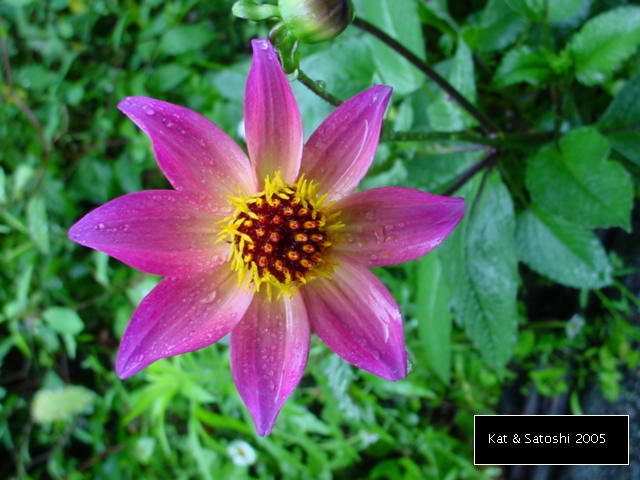 He also had one which cheered on the Tohoku area. We ended our day at a retro coffee shop called Otafuku Coffee. Their prices are reasonable and their coffee delicious. Downside of this place was that there weren't many seats and they allow smoking. All in all, it was a great foodie day. Thank you Tamakikat! 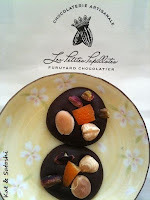 This was the shop that suspended their cafe service until after Valentine's...Les Petites Papillotes. Although we didn't get to try their cakes, while we were there, I picked up some of their mendiants to try--dark chocolate with marcona almonds, hazelnuts, pistachios & orange peel. I'll be back to try your cakes...sometime after Valentine's.. It had been awhile since I visited Painduce. Since then they opened a couple of shops, one which is closer to Umeda. 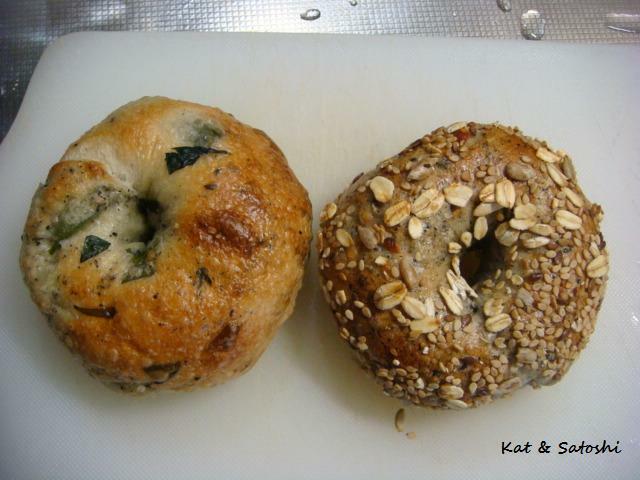 We tried their spinach black sesame and all grain bagels...I liked the all grain one better. The spinach one when toasted, was a bit too soft for my liking. UPDATE: we figured out the spinach black sesame bagel was a nori black sesame bagel...sorry for the confusion, I checked the shop's sign and it was definitely spinach black sesame not nori. Thursday was my birthday, Satoshi was able to take the day off so we went to have lunch at Ig Cafe. Afterwards we had some pupus (appetizers) at Enoteca. And then dessert at Ladurée. 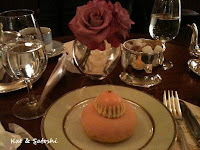 I had the Religieuse Rose Framboise filled with rose custard cream and fresh raspberries...mmm! 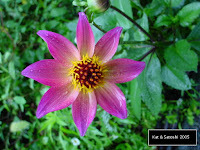 The weather was drizzly and grey but all in all it was a great day. 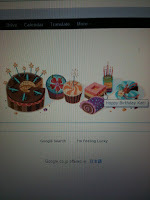 Thanks Google for sending me a birthday wish on their top page and thank you to all my friends & family and those on FB & twitter for their birthday wishes!